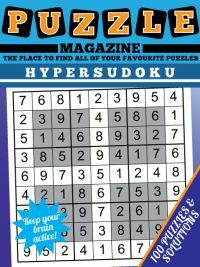 Hashi puzzles, as can be seen from the image on the right, are a puzzle that is all about making the right connections. 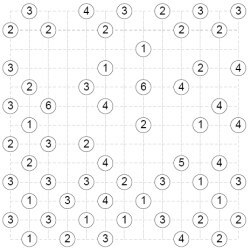 The puzzle starts with certain circled numbers placed on the grid. These represent islands. And the aim is to draw horizontal or vertical links between islands, such that each island is connected to other islands by the number of bridges stated in the circle. Thus if an island has the number 4 in it, then four bridges must be drawn to other islands. There are some key restrictions in hashi that you need to know to solve the puzzles: first, you must only draw up to two bridges between islands, no more is allowed; and they must always be horizontal or vertical (never diagonally). Bridges can't cross (after all this would be very confusing in two dimensions! ), and they can't pass through other islands. Finally, no island can be isolated. This means that you should be able to reach any island from any other just by walking across bridges. This last rule is particularly important as you will need to use this to solve some puzzles. 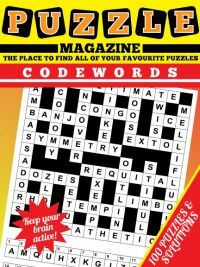 All hashi puzzles can be solved with logic alone and you don't need to guess ever. 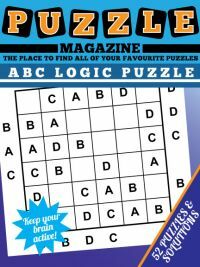 If you're new to the puzzle, then starting at the corners then around the edges is often a good idea, as it paying particular attention to islands with high numbers as often you can place some, or all, of their bridges straight away. 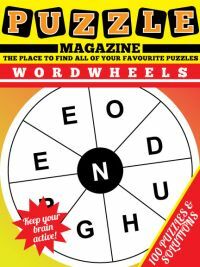 If you are interested in downloading this puzzle magazine but haven't played it before, then we do have hints that look at how to go about tackling the first puzzle: click the link in the left hand menu entitled 'solving bridges puzzles' to view the strategy hints for bridges. 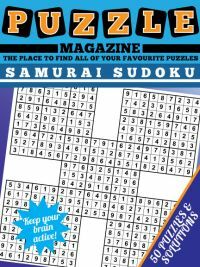 To play a sample puzzle, then view the sample hashi puzzle magazine page. 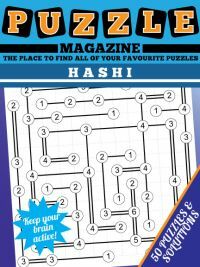 If you are new to hashi and are not intrigued by them but not quite sure how to play them, take a look at our Hashi puzzle solving guide before purchasing. 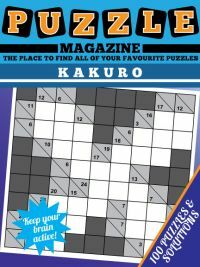 To download the Hashi Puzzle Magazine in PDF format, for just £1.97 (UK Pounds) or $3.15 (US Dollars) - click the 'Buy Now' button below. 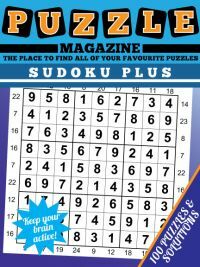 The magazine consists of 100 pages on A4 sized paper. 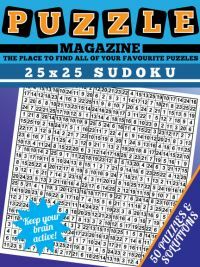 The first 50 pages contain the 50 puzzles all of which are on 13 x 13 grids as per the sample puzzle; the remaining fifty pages have the solutions for each and every puzzle.